This distinctive circular tower was built as a fortress on a hill in the Città Alta (upper town) that had been the site of earlier fortifications. It is surrounded by the Parco delle Rimembranze (park of remembrance), which is one of the best places to take photographs in Bergamo’s Città Alta as it provides extended views over the surrounding countryside. You can also see over the rooftops of the buildings in the Città Alta and have a bird’s eye view of the top sections of the Campanone and its neighbouring towers. To reach the park, walk up the Via Rocca, which leads off Via Gombito opposite the Torre Gombito housing the Ufficio di Informazione Turistiche (Tourist Information Office). The park was originally the site of a Roman building that was followed by the construction of an early Christian church. The building of the imposing circular tower which became known as La Rocca was started in 1331 by Giovanni di Boemia. 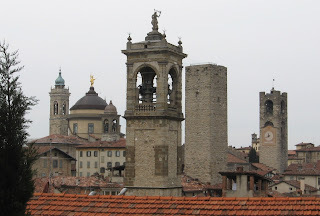 It was continued under the Visconti family and then under the Venetians, who both ruled Bergamo for a time. The Venetians used it as quarters for artillery men and called it the School of the Bombardiers. During Austrian rule in the 19th century, La Rocca was used both as a barracks and a prison. 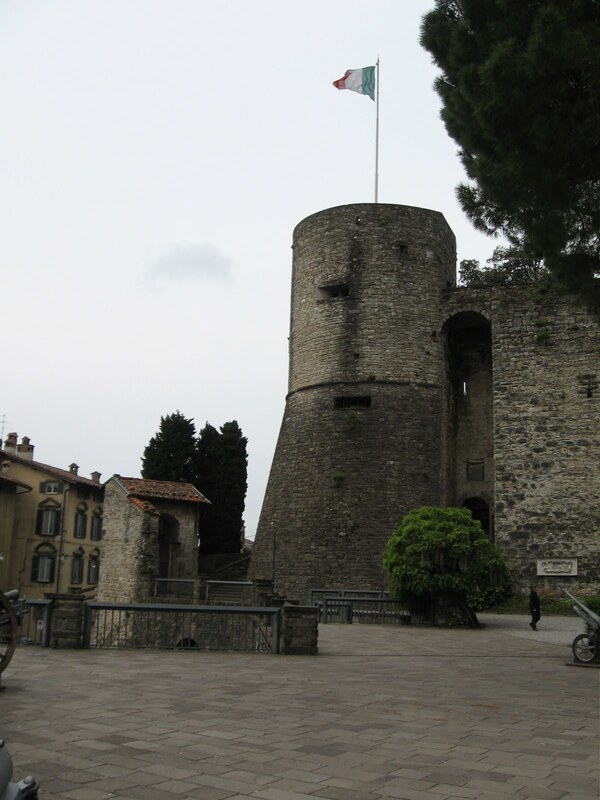 In the period leading up to the unification of Italy, the tower was used to imprison the patriots. Prisoners were executed in what is now the Park of Remembrance . The city of Bergamo acquired la Rocca and restored it in the early 20th century. It now houses il Museo del Risorgimento (Risorgimento museum), which contains important documents and exhibits relating to the history and unification of Italy. OPENING HOURS: Tues to Sun 9.30 – 13.00 and 14.00 to 17.30. Closed on Mondays.